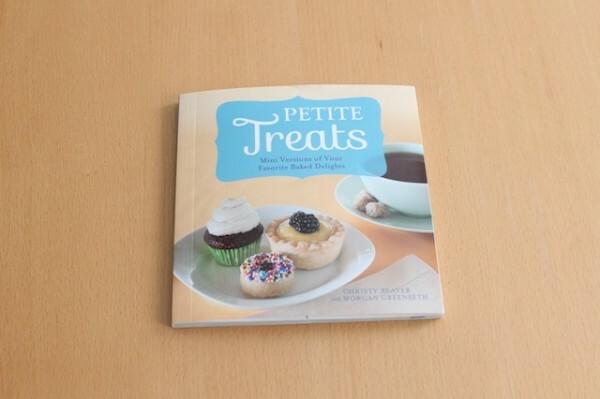 If you like things in small sizes, then you’ll enjoy this book, Petite Treats: Mini Versions of Your Favorite Bake Delights . Even the book is petite. How cute is that? Fifty-nine recipes of pastries that both men and women would like. Why do I say men? Well, there are recipes that include bacon, that’s why! The book is sectioned into Morning Bites, Sweet Snacks, Classic Bites, Fancy Stuff and Frostings, Fillings, Toppings and Drizzles. 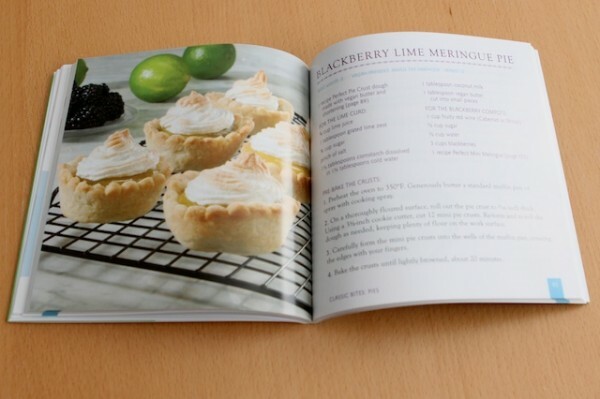 What I liked about this book… Most, although not all, the recipes have pictures of the treat you are making. I like that because I want to know what it is supposed to look like when I finish baking it. Everything is bite size, great for party treats or for school events. All the recipes in the Morning Bite section looked delicious. Would love to try them. What I didn’t like about this book… This was more of a personal preference but I am not a fan of coffee or liquor and there are about seven recipes in the book that call for coffee or liquor. Then there are a few recipes that has ingredients of things that I had no idea what it was or things I don’t normally keep in my kitchen, for example, arrowroot flour, vegan sour cream and ground cardamom. » Tell me… What are your favorite dessert recipe books?